Susanne Heinrich studied at the Meistersinger Conservatorium of Nuremberg and at the Frankfurt State Academy of Music where she passed her diploma recital with the highest distinction. She was granted a DAAD scholarship to study with Wieland Kuijken at the Royal Conservatory of The Hague. She has performed and recorded with many of the leading period-instrument ensembles of Europe, and for many years toured worldwide with the Palladian Ensemble. 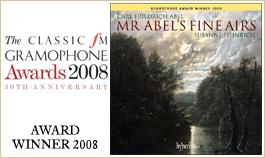 Until 2008 she was a founder member of Charivari Agréable, with which she has made sixteen recordings, most of which feature her as a solo artist. One of the leading viol players of her generation, Susanne held a teaching position at the Guildhall School of Music and Drama in London, has written for various journals, and took on the administration of the Viola da Gamba Society in 2009. 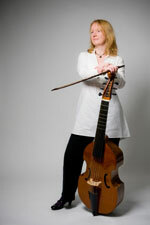 Her own music editions, Charivari Publications, of which she is the editor, focus mainly on unpublished music for viols.